As video games have become more ambitious since they first began, and this has resulted in developers needing to add more content to their already released games. If this happened before the internet, a new version of the game had to be released. But nowadays, developers can just release downloadable content, or DLC. DLC can be free or paid, and it usually tends to be the latter. However, there’s one company that usually messes with established rules, and that’s none other than Nintendo. While some changes have worked, like motion controls, but others haven’t fared so well, like the Wii U. When it comes to DLC though, Nintendo has a brilliant strategy that isn’t talked about nearly enough. Most developers use DLC to add in things like additional characters, costumes, modes, and sometimes even story segments, and it all depends on the type of game for which are included. Sometimes this is used as a way to add new features, but most of the time it’s just a quick cash grab. Nintendo has a largely different take on their DLC, giving many typical things out for free, and only charging money when it’s truly worth it. The best way to see this is by looking at some of their latest games. This is the best example of both types of DLC used by Nintendo. Splatoon 2 has been getting constant updates since its release over a year ago. While there have been many small updates, they’ve been released consistently, and kept adding weapons and clothes to keep gameplay fresh. They’ve also added more major updates with new hairstyles, stages, higher level and rank caps, and even completely new game modes. And must I remind you, this was all released completely free to everybody who owns the game. Splatoon 2 also got paid DLC in the form of Octo Expansion, which provided over 80 levels that were actually challenging and made the players use everything they know about the game. Once Octo Expansion is completed, the player is now able to use an Octoling character online, as well as gain multiple clothes outfits. These are not only great additions and rewards, but also don’t hold anything major back from players without the DLC. 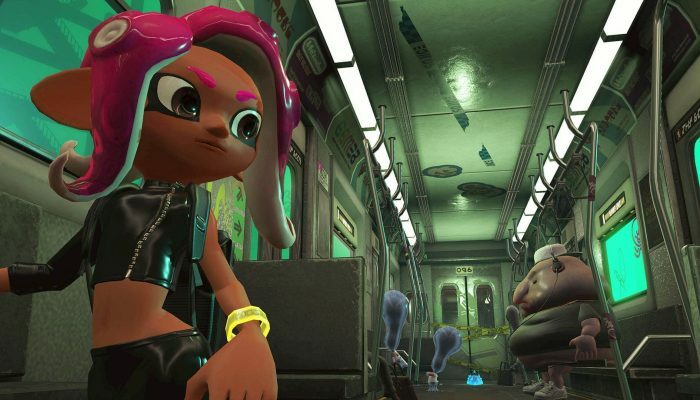 The Octolings don’t have any statistical advantage, just a graphical change, and the clothes you receive from the DLC aren’t bad, but they certainly aren’t the best you can get. Even though it came out just over a year ago, it’s already considered one of the best games of all time, even though it has DLC. But once again, this DLC isn’t a necessity to have a great time, just a great addition. The DLC for BOTW added armor related to other Zelda games, more shrines to test players and give them more spirit orbs to redeem for hearts or stamina, additional flashback cutscenes, a whole new dungeon and boss, and the Master Cycle, which is a motorcycle used to drive around Hyrule. All of these things are great and can enhance the gameplay experience of those who purchase it, but even story moments aren’t missing so they can be sold in this DLC, as this just had fun additional flashbacks for the players who wanted to view them. The original Mario Kart 8 had free cars added, as well as paid DLC for extra characters, cars, and stages. The release of Mario Kart 8 Deluxe bundled all of the former DLC in one package, and everybody thought it would end there. But recently it was promised that more content is on the way, as well as Breath of the Wild Link being added, in addition to the Master Cycle. This was added for free, and shows that even games that came out months before can still get additional DLC when the demand is high. Mario Tennis Aces is a great tennis game, as well as the most recent game on the list. Obviously characters are large part of these games, and Nintendo has had a brilliant way to steadily roll out these character. By participating in the online tournaments each month, you’ll get a new character. You don’t have to win the tournament, just participate. Not only does this help keep players engaged in gameplay, but also slowly adds in characters to allow the online competition to adjust. If you miss the competition, don’t worry, as you’ll be able to use these character the month after the competition. Next post: Women in Hip Hop : Do They Need A Co Sign ?